Well yessir! 5th Harmony are back with their hottest single of 2016. I love this song and the video and these super talented lil mamas! Work From Home is the first official single from 5th Harmony's upcoming sophomore album 7/27. 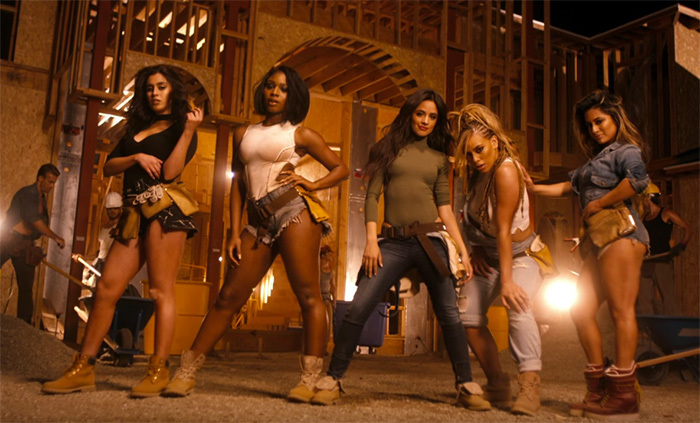 The dope X-directed video shows Ally, Normani, Dinah, Camila, and Lauren on a construction site with some hunky male workers, and LA rapper Ty Dolla $ign. 7/27 will be released May 20 and is available for pre-order on iTunes. Check out the video. I love it so much it's gotta go on my blog. Fire!